Calere Sauna Glass Walls and Doors gives your sauna design and light. Large glass wall and door create a sense of space and feeling of high design. 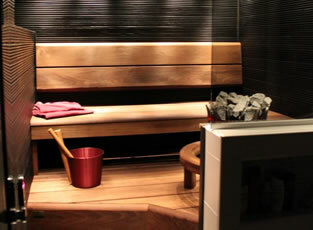 Calere glass walls are made from 8 mm tempered safety glass and have been specifically designed for sauna use. Choose the color of glass from warm bronze, smoky gray, modern clear or stylish clear/grey/bronze satin glass. The knob door handle is a standard and you may also choose your own model from large range of handles. Calere glass wall and doors have high quality self-closing hinge from 25° opening in both directions with an adjustable stop position ±15°. All hinges are equipped with special seal for sauna use. You may choose from standard chrom effect to matt chrom the color of hinges and glass clamps. We produce all Calere Sauna Glass Walls and Door with individual measurements by customer. Our normal production time is 12-15 working days.